Smart Allergy Friendly Education: New Years Giveaway Celebrating "NO NUTS. NOT EVER" - Let's here it for Skeeter Snacks! New Years Giveaway Celebrating "NO NUTS. NOT EVER" - Let's here it for Skeeter Snacks! 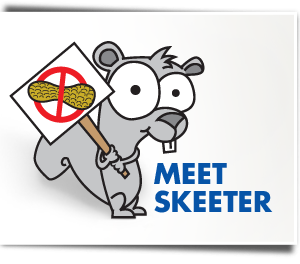 Are you familiar with Skeeter the Squirrel OR Skeeter Snacks? Tell me in the comments section on this blog OR on the Smart Allergy~Friendly Education FB page where I have this giveaway posted, HOW you are going to share this snack with those in your personal circle - classmates at your kid's school? friends? mom's group? I know that YOU know about this NUT-FREE product, but we need to be doing more to educate those around us. I believe it's a small effort we can ALL make in order to possibly save lives. Living NUT-FREE doesn't have to be as hard as some people make it, but it does take awareness of knowing what is SAFE or NOT SAFE for our allergy kids. 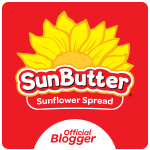 Good luck and be sure to visit their site to learn more about where you can buy them, SKEETER STORE LOCATOR link, and visit SKEETER SNACK FOR KIDS link to learn more about Skeeter and Skeeter Games! 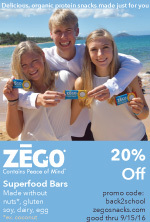 Here's to a company providing products to keep our NUT-FREE kids SAFE! I liked Skeeter on FB. We are planning to share these with our playgroup friends! Donna D.